WASHINGTON,d.c. — The United State Department of Agriculture has announced that the deadline for applications for the Rural eConnectivity Pilot Program (ReConnect Program) has been extended to May 31, 2019. According to press release Wednesday, Bette Brand, Administrator for Rural Business Service and Acting Administrator for Rural Utilities Service,was quoted talking about how much interest in the program was received and how the USDA is ready and willing to get to work. 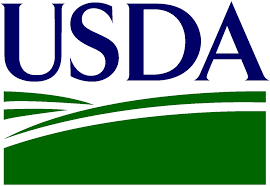 The USDA will also be hosting webinars to provide further technical assistance to applicants. These webinars cover general information about the program as well as input from experts ready to help potential applicants. Both webinars are open to the public and are set for Thursday, February 7 and Wednesday, February 13, at 2:00 p.m.
For more information about the ReConnect Program, visit the USDA’s website.